NFL players spend a lot of time looking for motivation while trying to avoid firing up an opponent, but motivation always can be found. Even in a cliché. Just ask the St. Louis Rams, who have inspired the following tongue-in-cheek guide. If your team is playing against Seahawks quarterback Russell Wilson and looking for some last-minute inspiration, you’ve come to the right place. This motivational guide to playing against Russell Wilson is a quick and easy way to get that extra edge. NFL players spend a lot of time looking for motivation while trying to avoid firing up an opponent, but motivation always can be found. Even in a cliché. Just ask the St. Louis Rams. 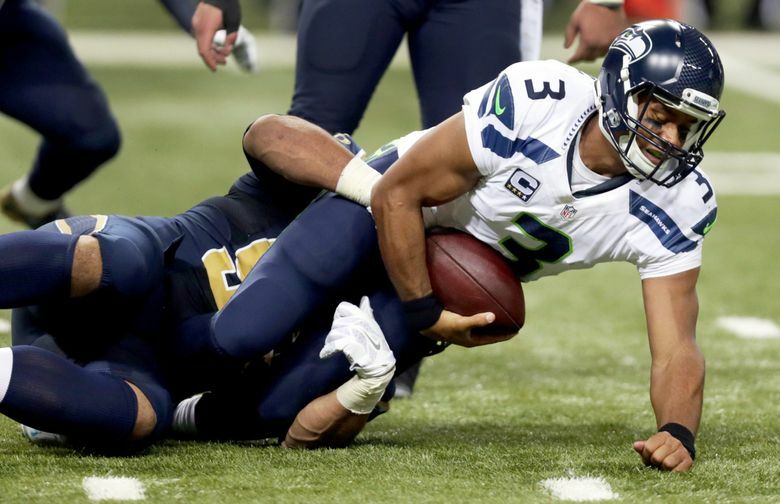 The Rams saw a tweet Wilson sent out the day before the season opener Sunday in which he wrote, “1-0. #GoHawks.” It did not seem to matter much that Wilson was repeating one of his favorite clichés. Nor did it matter that he has stated that “the goal is to go 1-0” before pretty much every game he has ever played. Those 12 characters became the rallying cry for the Rams, and after St. Louis’ 34-31 overtime win, Rams running back Benny Cunningham declared, “Hey, 1-0, baby. That’s the real tweet. Retweet that.” The team’s official Twitter account tweeted at Wilson, telling him not to delete his original “1-0” tweet. It is entirely possible that Wilson has said “the goal is to go 1-0” 50 times in the past three seasons, but it got us thinking: Which of his other trusted clichés could be used as enemy inspiration? 1. “The separation is in the preparation.” This is something of a mantra for him, and he is unable to go four consecutive weeks without saying it. Could be taken as a boast about his team’s readiness to beat your team. Deploy accordingly. 2. “The field is 100 yards long and 531/3 yards wide.” This will be spoken about the dimensions of your field, but in the right hands could be distorted into a criticism of the averageness of your stadium. Especially effective strategy with fans. 3. “Ignore the noise” and “Calm in the storm.” These are his objectives as a quarterback, but he has deviated from them in the past. Just last week a phone went off while he was talking, and he didn’t ignore the phone’s noise but actually commented on it. Could pipe in a ringing phone before a big drive instead of loud music. 4. “No time to sleep.” Or, to be more precise, “#NoTime2Sleep.” A nod to his desire to get better but could also be made into a slight: Is he saying he doesn’t need sleep to beat you? Comes with a built-in hash tag for a maximum viral effect on Twitter. 5. “Championship mindset.” He says this about days, weeks and seasons, but could also mean that he thinks his team is a championship caliber while yours isn’t. Underdog role could be helpful. Wilson is almost laughably consistent with his message, so a good game plan is essential. You might be tempted to think of his news conferences as vanilla affairs devoid of controversy, but then again, maybe you just aren’t looking hard enough.